One year ago, from May 1st to May 3rd, following 13″ of furious rain, the Cumberland and Harpeth Rivers swelled over their banks, and Nashville was the site of a catastrophic flood. Situated as we are on the bank of the Cumberland River, we at Bradfield Stage Lighting also experienced the devastation that was felt all across the city. 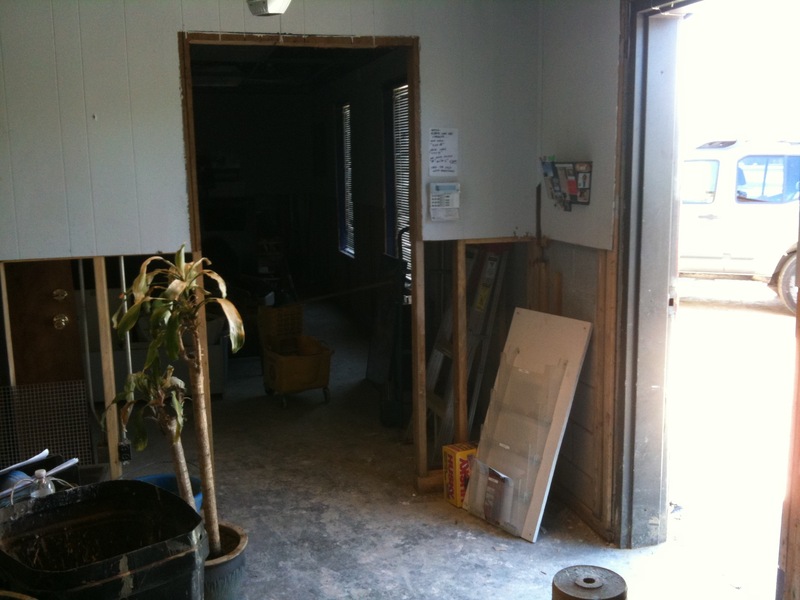 With roughly 3 1/2′ of water in our warehouse and offices, we knew we had a long cleanup ahead of us. What was so amazing was the support of our friends, churches, and even our competitors. So many people came and helped us during the arduous clean-up process, and we can never express how grateful we were, not only for the help (which we so needed) but for the show of support and solidarity. Now, one year later, the Great Flood of 2010 is anything but forgotten. Like the rest of the city, we are still feeling the repercussions, as well as sorting through remainders of the mess. But, by the grace of God, we are still here, and for that, we are so very grateful. As illustration, here are two photos, taken almost exactly a year apart. The first shows our office space after we cut away the ruined walls and started trying to find our way back. The plant in the picture was submerged, and like the rest of us, was very unhappy about it. 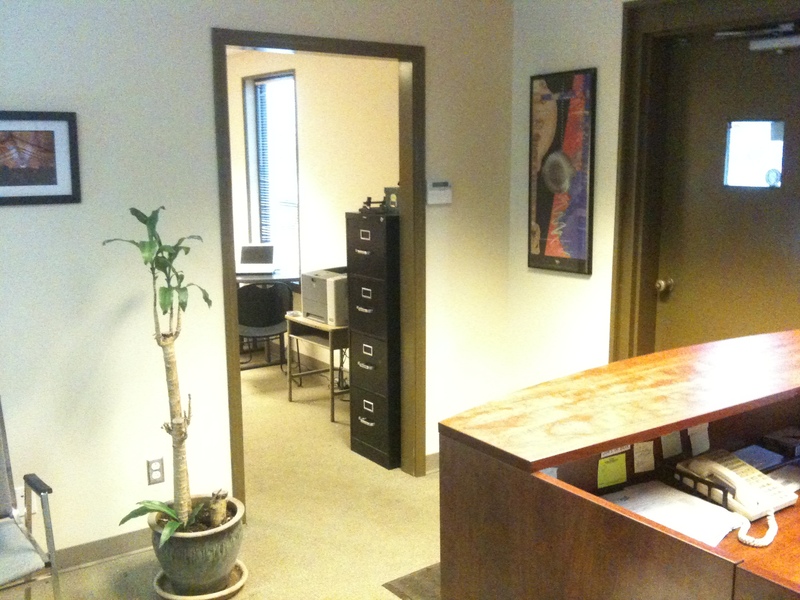 The second picture shows that same plant, one year later, occupying the same spot in our renovated offices. Posted in General, Uncategorized and tagged flood, nashville flood, one year later on May 4, 2011 by bradfieldcompany.